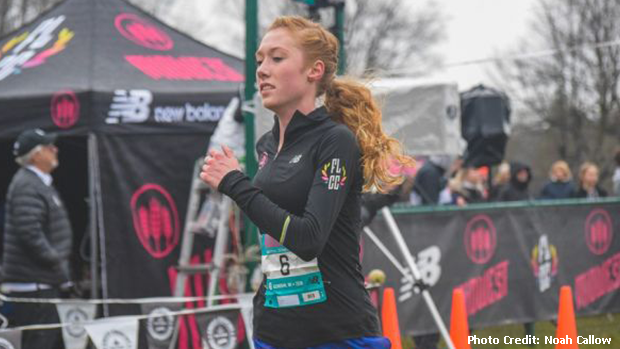 Adelyn Ackley is set to compete at Foot Locker Nationals for the second time. Athletes from throughout the Midwest traveled to Kenosha, Wisconsin for Saturday's Foot Locker regional meet, where they encountered unseasonably warm weather but a wet and muddy course that proved to be technical and challenging to navigate. While finishing times did not necessarily match-up with the caliber of runners who were competing in both the men's and women's contests, in races like this the clock isn't the determining factor. The objective is to secure a top ten placement and earn one of the coveted Foot Locker Nationals berths. And the representatives from Michigan did just that, with eight of the twenty qualifying positions being captured by those who call the Wolverine State home. The following athletes are eligible to line-up against the country's best on Dec. 8th in San Diego. Evan Bishop spoke with MileSplit Illinois editor, Tony Jones following his third place effort.